Hey Matt, i just stumbled across your site. Finally winter has arrived, i haven't been out for a ski yet. 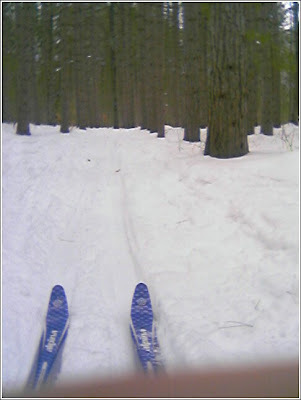 But, i am going up to Deep River Ont this weekend to ski with our friend May Zhang! See you in August. sweet site! Very helpful and lots of links. I may have some questions for you regarding past builds. My dad has a heated woodshop that is presently unused....for now. I think I'd like to try something like the "sea otter" for bluegill fishing.